Good news for almost everybody! Last night Jay-Z unveiled the track list for next month’s Blueprint 3, and it turns out that the album will feature quite a few guests. Among them are some familiar faces and a few new ones: Kanye, Rihanna, Young Jeezy, Pharrell Swizz Beatz, Drake, J. Cole, Kid Cudi, Mr. Hudson, and for some reason, Luke Steele (the guy from the Sleepy Jackson). Notably absent, though: MGMT, who just last month, Billboard reported, had contributed a track. Was the song no good? Or was Jay afraid of reading about himself on Hipster Runoff? And what’s with all the guests, anyway? Sadly, there’s no Beyoncé or Nas (who might’ve been wary of appearing on a sequel to the album that included this song) — but there sure is a lot of “featuring” on this track list, especially for a Jay-Z album. 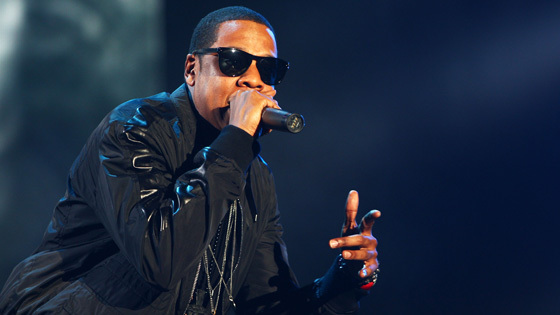 Was Hov having trouble writing his own choruses? Since most leaked evidence suggests that wasn’t the case, we’ll assume he just got lonely in the vocal booth. Full track list below!